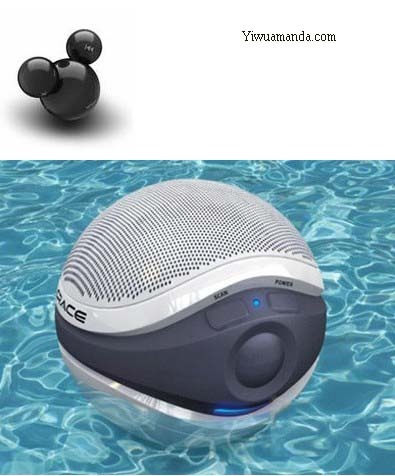 There are two special loudspeakers in the market; there are mini speaker and wireless speaker. A mini speaker, also known as mini sound box or sounding box (sometimes written sound box), is an small open chamber in the body of a computer or a mp3 which modifies the sound, and helps transfer that sound to a long distance away. Objects respond more strongly to vibrations at certain frequencies, known as resonances. Nowadays you can also see different styles of speakers, especially a new kind of speaker: wireless speaker. A wireless speaker is the same as traditional (wired) speaker; however, it transmits audio signals using radio frequency (RF) waves rather than over audio cables. There is normally an amplifier integrated in the speaker’s cabinet because the RF waves alone are not enough to drive the speaker. In Yiwu market you can find any kind of louder speaker that you want. There is a typical place specialized in providing loudspeakers. We have a dizzy array of choices that are available to us.